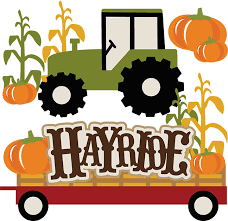 Starting Thursday, September 20th through November, 1st Endicott Park will be hosting Hayrides on Thursday evenings from 4PM-6PM! Hop on board for a behind-the-scenes tour of all of your favorite spots in the park. Disembark in the back orchard for a story by the fire, read by library staff! Just $3 per person.